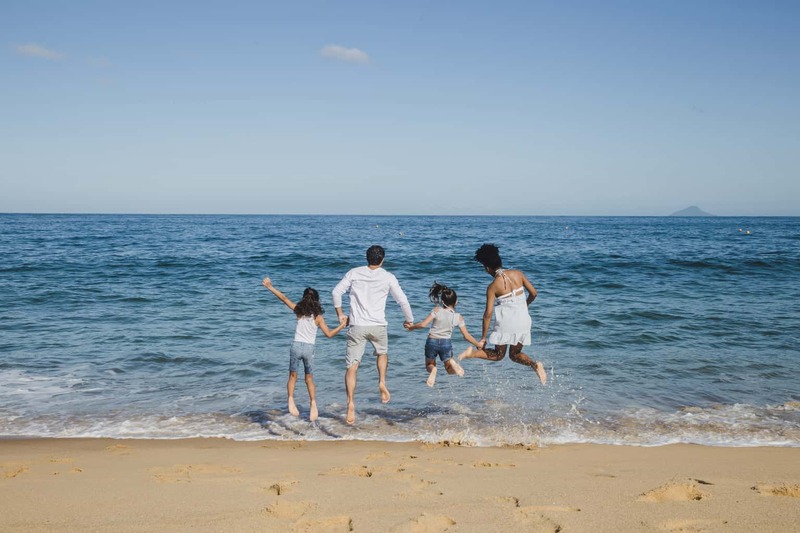 Travelling with kids can be great however going away as a family is very different to the days when you and your significant other packed a small overnight bag and hopped on a plane. There’s all the things you need to pack for a family holiday, but that’s only the tip of the iceberg! There are so many other things to remember too. Of course, there is only so much that is under your control when travelling with kids, but the key really is in the preparation. 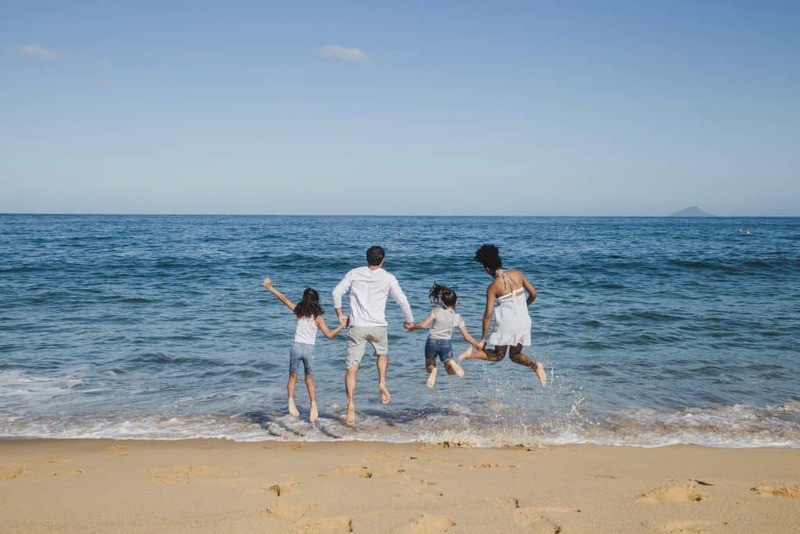 So to ensure your family holiday goes as swimmingly as it possibly can I’ve put together this handy family travel checklist to ensure you have everything you need for travelling with kids covered. Ensure that nothing has changed and sign up for updates across text and email. Printing your boarding passes at home can be a great time saver and anything that saves time (and therefore also headache too!) when travelling with kids is a no brainer in my book. 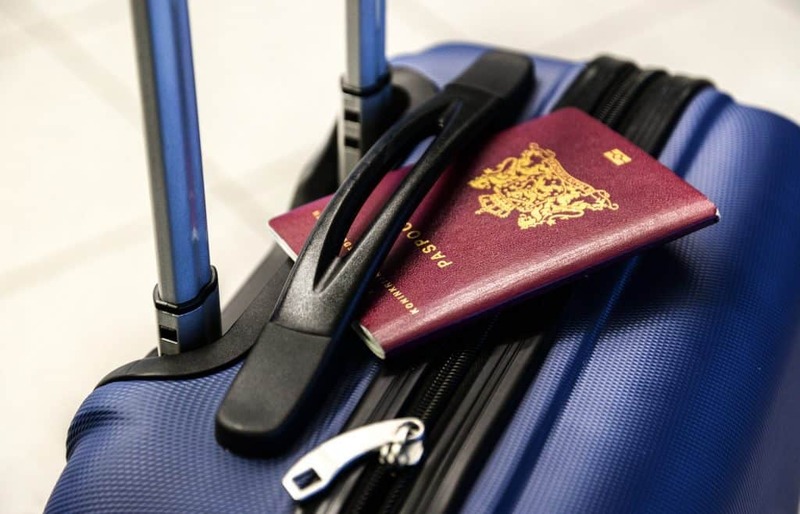 And be sure to triple check that you have packed all your travel documents! This is a biggie especially if you have children who have never flown before, or perhaps need a little refresher! Talk to them about what they can expect, the sequence of events, and make sure they know that they are going have to be VERY patient in the security check grind. If you’re flying with toddlers be sure they know that whatever favourite toy they are carting around is going to have to go through security (and therefore be relinquished for a short time) too to offset tantrums. I always find a great way of getting little heads around this sort of stuff is to sit and watch a video with them about the experience then talk about it afterwards. Here’s a useful video to get them started. 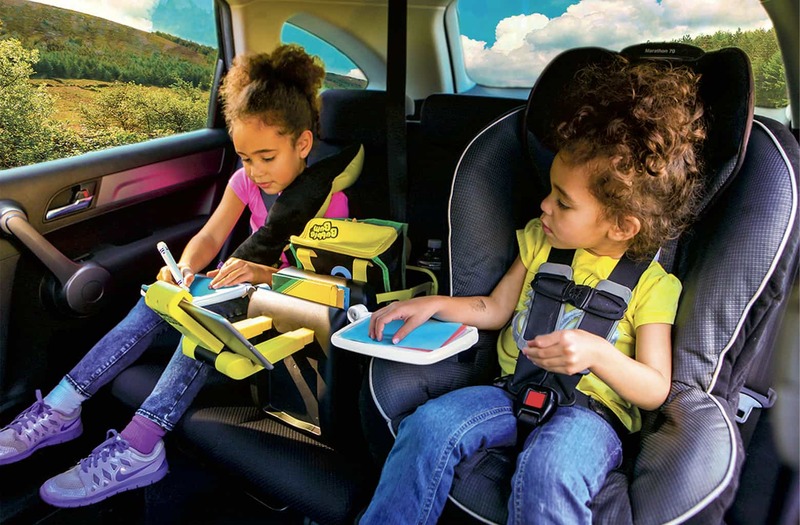 If you’re travelling with children between the ages of 4 and 11, ensure you pack your BubbleBum which means that if you’re renting a car you won’t have to waste money on renting a booster seat when you arrive. It’s also super handy to use if you are getting a taxi to the airport, to ensure they will be both safe and comfortable during the transfers on either side. It may not look a lot but if think about what you’re carrying when you also have to manage (and possibly carry!) the kids too. If they are old enough, consider letting them take a little pull along suitcase (my daughter has one and absolutely loves the responsibility of it!) or if they are likely to get a bit moany with the walking consider getting a Trunki. Also it’s definitely worth checking luggage guidelines before your trip – both in-hold and check in. The last thing you want is to find out you have too much carry on when you get to the airport! Also be sure to check the list of hand luggage restrictions at UK airports. “When travelling with a baby you’re allowed to take enough baby food, baby milk and sterilised water for the journey. In some cases this will be over 100ml. You can carry breast milk in hand luggage even if you’re not travelling with a baby. You cannot carry frozen breast milk in hand luggage. 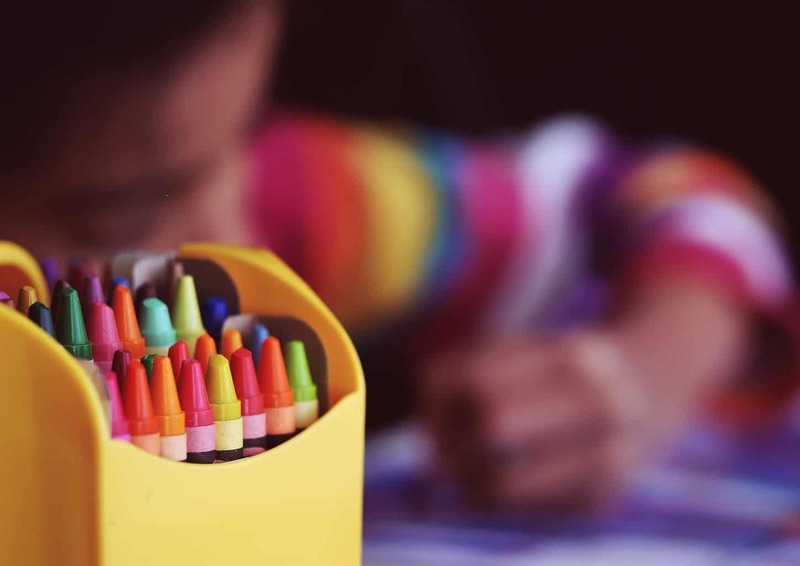 The art of distraction reigns supreme when it comes to travelling with kids – whenever I have travelled I always take a back packed full of things to keep my daughter entertained – games, activity books, water colouring, stickers, snacks….you get the picture! Be sure to eke these out as slowly as possible during the journey in a drip feed fashion so that you can keep them entertained (and co-operative) for as long as possible. Family’s being asked to board first happens for a reason – it makes your life a heck of a lot easier. It’s so helpful to get on before the plane is full to the brim, and when there is actually time to stow your bags away somewhere close to where you’ll actually be sitting – not ten rows down! Ensure you all your liquids are compliant with the rules and already packed up in plastic bags (you can read the rules for the TSA’s 3-1-1 policy here). Make sure everyone is dressed appropriately – forget the coats, extra layers and lace up shoes – the key is minimum fuss and stuff here! And lastly make sure your pram is all clear of stuff because it will be need to be folded up to go through security too. So hopefully this checklist will help things to go more smoothly when travelling with kids. As you can see – preparation is key. If you’re looking for information on travelling with kids here are some additional tips on how to make travelling with kids less stressful. What do you think about these tips above? Do you have any others to add? Please do share in a comment below. And If you found this post helpful please do give it a share on Facebook or Twitter, a Pin on Pinterest or a Stumble thank you!